TLJ Daily E-Mail Alert No. 2,529, March 4, 2013. Monday, March 4, 2013, Alert No. 2,529. 2/27. Rep. Peter DeFazio (D-OR) and Rep. Jason Chaffetz (R-UT) introduced HR 845 [LOC | WW | PDF], the "Saving High-Tech Innovators from Egregious Legal Disputes Act of 2013". This is a short but not simple bill that would shift the burden of paying the winner's attorneys fees and costs to the loser in some patent cases, and impose a bond posting requirement on some patent litigants. The sponsors and proponents of this bill state that it is directed at disincenting "patent trolls" from filing meritless patent suits. However, the bill makes no attempt to define "trolls". The bill would create a disincentive to litigate for the sorts of egregious litigants that the sponsors and proponents describe in their speeches, releases, and papers. However, it is also overbroad, and would sweep into troll status a wide range of other litigants who do not engage in any of the egregious conduct that is often cited by the sponsors and proponents of this bill. Also, this is a crudely and inartfully drafted bill that lacks clarification on many points. But then, the House Judiciary Committee (HJC) and Senate Judiciary Committee (SJC) excel in this process. The bill was referred to the HJC. Rep. Chaffetz is a member of the HJC and its Subcommittee on Courts, Intellectual Property and the Internet. Bill Summary. The main intent of the sponsors and supporters of this bill is to create two financial disincentives to file frivolous patent claims in the District Court. The bill, as introduced, would also have other and unintended consequences. See, related story in this issue titled "Summary of HR 845, the SHIELD Act". This is much revised version of a bill that the same two Representatives introduced in the 112th Congress, HR 6245 [LOC | WW | TLJ]. See, story titled "SHIELD Act Would Allow Court to Award Costs and Attorneys Fees to Prevailing Parties in IT Patent Cases" in TLJ Daily E-Mail Alert No. 2,420, August 4, 2012. The two bills have the same title, the same purpose, and the same sponsors. (Rep. Jared Polis (D-CO) and Rep. Peter Welch (D-VT) later joined as co-sponsors.) Also, both bills employ shifting of attorneys fees and costs. Otherwise, the bills are different. Currently, 35 U.S.C. § 285 provides that "The court in exceptional cases may award reasonable attorney fees to the prevailing party." That is, each party ordinarily pays its own attorneys. And, except in "exceptional cases", the winner cannot recover its attorneys fees at the conclusion of the case. Fee shifting could have a significant impact, because a party often pays millions of dollars in legal fees to pursue a patent case to judgment. Neither bill is a straight replacement of Section 285 to provide that the loser pays the winner's costs and attorneys fees in patent litigation. Although, such a bill would be short and simple, and easy for the courts to apply. HR 6245 (112th Congress) would have provided that "Notwithstanding section 285, in an action disputing the validity or alleging the infringement of a computer hardware or software patent, upon making a determination that the party alleging the infringement of the patent did not have a reasonable likelihood of succeeding, the court may award the recovery of full costs to the prevailing party, including reasonable attorney's fees". The just introduced HR 845 (113th Congress) would add a new Section 285A that would impose a bond posting requirement on a party against whom patent "invalidity" or "non-infringement" is asserted, and if such party loses, a requirement to pay the winner's attorneys fee and costs, if such party (1) is not either the inventor or original assignee of the patent, (2) had not exploited the patent through production or sale an item covered by the patent, (3) is not a university, and (4) is not a technology transfer organization. HR 6245 applied only to computer hardware or software patents. HR 845 applies to any kind of patent. HR 6245 did not have a bond posting requirement. HR 845 does. HR 6245 provided for fee and cost shifting if the court found that a party alleging infringement "did not have a reasonable likelihood of succeeding". HR 845 does not require the court to make a determination regarding the meritlessness of an infringement claim. Rather, fee and cost shifting to the loser, and bond posting, would turn solely on whether that party falls into one of several categories. Each of these categories is both ethically and policy neutral. Sponsors' Explanation. The two sponsors held a joint news conference on February 27. See, and video [12:02 in YouTube]. Rep. DeFazio (at right) complained at the news conference about patent "trolls" and "non-practicing entities", although the bill uses neither phrase. Nor does the bill use other words and phrases often employed by proponents of this bill, such as "frivolous" and "meritless" claims and lawsuits, "patent assertion entities". He stated in a release that troll "pad their pockets by buying patents on products they didn’t create and then suing companies from every industry for infringement. These egregious lawsuits have spread to nearly every sector of the economy, costing billions of dollars and countless jobs. The bipartisan SHIELD Act is a targeted reform that will force patent trolls to take financial responsibility for their frivolous lawsuits." Rep. DeFazio said at the news conference that trolls first targeted software patents, then applications, and are now going after end users. He said that trolls are sending demand letters asserting patent infringement for things as legitimate as "scanning a document and attaching it to an e-mail". Rep. Chaffetz (at left) stated at this event that "patent trolls add no economic benefit to our nation" and that "they are hampering innovation". He stated in the release that "Patent trolls contribute nothing to the economy. No industry is immune to these attacks. Instead of creating jobs and growing the economy, businesses are wasting resources to fight off frivolous lawsuits. This bipartisan legislation will curb future abuse by requiring trolls to bear the financial responsibility for failed claims." He said that this bill "aligns financial incentives", and does not affect "legitimate" lawsuits. Rep. Defazio added that "it will discourage a lot of the frivolous litigation". The two also addressed the prospects for enactment of this bill, and patent reform generally. Rep. Chaffetz said that "this is the simplest, swiftest piece of legislation that we could pass in a bipartisan way". He added this: "the broader issue of software patents -- there is a lot of work to be done -- and a whole array of tech issues". 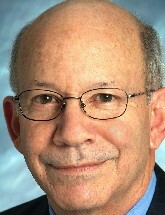 Rep. Defazio said that "there was a bit of fatigue after the America Invents Act" was enacted in 2011. But, he added that "it is my understanding that Chairman Goodlatte is going to hold a hearing on this issue in the not to distant future". Indeed, the HJC's Subcommittee on Courts, Intellectual Property and the Internet is scheduled to hold a hearing on March 7 titled "Abusive Patent Litigation: The Impact on American Innovation & Jobs, and Potential Solutions". See, notice. He said that the "massive coalition" of supporters of the bill includes the trolls' targets, such as airlines and municipalities. Even "the pharmaceutical industry is on board with this". Rep. DeFazio elaborated that they have not yet been targeted by trolls, but fear that they might be in the future. Reaction. Ed Black, head of the Computer and Communications Industry Association (CCIA), stated in a release that "Legitimate and innocent companies who become targets of trolls face an unpleasant but stark reality. The cost of defending oneself in court usually far outweighs the cost of settling when confronted by a patent troll. Victims facing these often baseless lawsuits find it hard to fight back knowing that winning in court often costs more than settling. That is why legislation like the SHIELD Act is needed. Shifting the costs of baseless litigation onto patent trolls who lose in court should help discourage nuisance lawsuits". Gary Shapiro, head of the Consumer Electronics Association (CEA), stated in a release that "If we want to build American businesses and create jobs, we need to change the law that encourages baseless but disruptive legal threats for American businesses. A successful defense of a patent lawsuit costs upwards of a million dollars, so many small businesses and startups cannot fight back or get funding to continue their businesses. Today’s law encourages unethical patent trolls, and we stand with President Obama and the authors of the SHIELD Act to get it changed. The SHIELD Act allows the losing litigant to be assessed legal fees, a helpful and sensible first step to strike back at patent trolls, and disincentives baseless lawsuits. We urge Congress to pass the SHIELD Act as soon as possible." 2/27. Rep. Peter DeFazio (D-OR) and Rep. Jason Chaffetz (R-UT) introduced HR 845 [LOC | WW | PDF], the "Saving High-Tech Innovators from Egregious Legal Disputes Act of 2013", or SHIELD Act. This bill pertains to shifting attorneys fees and costs, and requiring the posting of a bond, in patent cases. This bill does not amend, remove or replace 35 U.S.C. § 285, which provides that "The court in exceptional cases may award reasonable attorney fees to the prevailing party." Thus, this is not a straight replacement of Section 285 to provide that the loser pays the winner's costs and attorneys fees in all patent litigation. Rather, this bill would create a complex regime regarding bond posting and fee and cost shifting in some situations in patent cases. Parts of the bill contain crude language that fails to put attorneys, judges and magistrates on notice of their meaning. Parts would have consequences other than disincenting the filing meritless patent infringement lawsuits. This bill would add a new Section 285A that would create financial disincentives for what supporters of the bill call "trolls", and others. Fee and cost shifting to non-prevailing "trolls" alone would not achieve the disincentive effect sought by proponents of shifting, because "troll" plaintiffs could be thinly capitalized limited liability companies without the financial resources to pay an award of attorneys fees and costs to the prevailing party. Hence, the bill also provides for posting a bond in advance. These bonds would not only assurance recovery of cost and fee awards. The up front cost of posting such bonds would often be substantial, and would have an independent deterrent, even upon parties who have reasonable grounds to expect to prevail. The bill does not reference "plaintiff" and "defendant", or "claim" and "counterclaim". A target of a "patent troll" might preemptively file a declaratory judgment action. Rather, it provides that "a party asserting invalidity or noninfringement" may file a motion regarding fee and cost shifting, and posting of a bond. Then, the fee and cost shifting and bond posting requirement would apply to the non-moving party, unless the District Court finds that non-moving party falls into one of four categories. First, the non-moving party would avoid Section 285A troll status, if such party "is the inventor, a joint inventor, or in the case of a patent filed by and awarded to an assignee of the original inventor or joint inventor, the original assignee of the patent". Second, the non-moving party would avoid troll status, if "such party can provide documentation to the court of substantial investment made by such party in the exploitation of the patent through production or sale of an item covered by the patent." Third, the non-moving party would avoid troll status, if "such party ... an institution of higher education". Fourth, the non-moving party would avoid troll status, if "such party ... a technology transfer organization whose primary purpose is to facilitate the commercialization of technology developed by one or more institutions of higher education". A Section 285A motion would by filed in any "action involving the validity or infringement of a patent". It could be filed by any "party asserting invalidity or noninfringement" in such action. It could be filed at any time, including after entry of final judgment. The ruling on the motion would be made by Court (not a jury), it would be a judgment, and it must be made within 120 days of the filing of the motion. Then, there would be two consequences of a judgment by the Court that the non-moving party does not fall into one of the four exempting categories. First, "notwithstanding section 285, the Court shall award the recovery of full costs to any prevailing party asserting invalidity or noninfringement including reasonable attorney’s fees, other than the United States, upon the entry of a final judgment"
Second, such non-moving party that does not fall meet one of the four exemptions (Section 285A troll status) "shall be required to post a bond in an amount determined by the court to cover the recovery of full costs described" above. The bill does allow the Court some discretion. The fee and cost shifting requirement applies "unless the court finds that exceptional circumstances make an award unjust". However, this clause does not apply to the bond posting requirement. Also, the bill contains no findings, no statement of purposes, and statement of the sense of the Congress. The House will meet at 12:00 NOON for morning hour, and at 2:00 PM for legislative business. Votes will be postponed until 6:30 PM. The schedule for the week includes no technology related items. See, Rep. Cantor's schedule. The Senate will meet at 2:00 PM. The schedule includes consideration of the nomination of Pamela Ki Mai Chen to be a Judge of the U.S. District Court (EDNY). EXTENDED FROM FEBRUARY 4. 5:00 PM. Extended deadline to submit reply comments to the Copyright Office (CO) in response to its notice of inquiry (NOI) titled "Orphan Works and Mass Digitization". See, notice in the Federal Register, Vol. 77, No. 204, October 22, 2012, at Pages 64555-64561. See also, story titled "Copyright Office Issues Notice of Inquiry on Orphan Works" in TLJ Daily E-Mail Alert No. 2,468, November 2, 2012. See, extension notice in the Federal Register, Vol. 77, No. 231, November 30, 2012 at Page 71452. Deadline to submit reply comments to the Federal Communications Commission (FCC) in response to its Public Notice [22 pages in PDF] that proposes new rules for the FCC's universal service tax and subsidy program. This PN seeks comments on procedures to determine what areas are eligible for Connect America Phase II funding and how carriers may elect to accept or decline a statewide commitment in Connect America Phase II. The FCC released this PN on December 27, 2012. It is DA 12-2075 in WC Docket No. 10-90. See, notice in the Federal Register, Vol. 78, No. 13, January 18, 2013, at Pages 4100-4107. Deadline to submit comments to the National Institute of Standards and Technology's (NIST) Computer Security Division (CSD) regarding its draft SP 800-63 -2 [123 pages in PDF], titled "Electronic Authentication Guideline", released on February 1, 2013. The House will meet at 10:00 AM for morning hour, and at 12:00 NOON for legislative business. See, Rep. Cantor's schedule. 10:00 AM. The House Judiciary Committee's (HJC) Subcommittee on Immigration and Border Security will hold a hearing titled "Hearing on Enhancing American Competitiveness through Skilled Immigration". The witnesses will be __. See, notice. Location: Room 2141, Rayburn Building. 10:00 AM. The House Oversight and Government Reform Committee (HOGRC) will hold a hearing titled "Time to Reform Information Technology Acquisition: The Federal IT Acquisition Reform Act". Location: Room 2154, Rayburn Building. 10:00 AM. The House Appropriations Committee's (HAC) Subcommittee on Commerce, Justice, Science, and Related Agencies will hold a hearing on the budget for the Department of Commerce (DOC). See, notice. Location: Room H-309, Capitol Building. 10:00 AM. The House Appropriations Committee's (HAC) Subcommittee on Energy and Water Development, and Related Agencies will hold a hearing on the Department of Energy's (DOE) science budget. See, notice. Location: Room 2362-B, Rayburn Building. 11:30 AM. The House Judiciary Committee's (HJC) Subcommittee on Regulatory Reform, Commercial and Antitrust Law will hold a hearing on HR 367 [LOC | WW], the "Regulations From the Executive in Need of Scrutiny Act of 2013" or "REINS Act". The witnesses will be __. See, notice. Location: Room 2141, Rayburn Building. 12:00 NOON - 2:15 PM. The American Enterprise Institute (AEI) will host an event titled "Taking the long view: Strategies for peacetime competition with China". The keynote speaker will be Rep. Randy Forbes (R-VA). The other speakers will be Dan Blumenthal (AEI), Jim Thomas (Center for Strategic and Budgetary Assessments), Toshi Yoshihara (US Naval War College), and Thomas Mahnken (US Naval War College). Webcast. Free. See, notice. Location: AEI, 12th floor, 1150 17th St., NW. 2:00 PM. The House Judiciary Committee's (HJC) Subcommittee on on the Constitution and Civil Justice will hold a hearing titled "Excessive Litigation's Impact on America's Global Competitiveness". The witnesses will be __. See, notice. Location: Room 2141, Rayburn Building. 2:30 PM. The Senate Intelligence Committee (SIC) will hold a closed hearing on undisclosed topics. See, notice. Location: Room 219, Hart Building. The Federal Communications Commission's (FCC) Communications Security, Reliability, and Interoperability Council (CSRIC) will meet. Location: FCC, Commission Meeting Room, Room TW-C305, 445 12th St., SW.
9:30 AM. The Senate Judiciary Committee (SJC) will hold a hearing titled "Oversight of the Department of Justice". The witness will be Attorney General Eric Holder. Webcast. See, notice. Location: Room 226, Dirksen Building. 10:00 AM. The U.S. Court of Appeals (FedCir) will hear oral argument in eBay v. Kelora Systems, App. Ct. No. 2012-1474, an appeal from the U.S. District Court (NDCal) in a patent case. Location: Courtroom 201. 10:30 AM. The House Homeland Security Committee (HHSC) will hold a hearing titled "DHS Cybersecurity: Roles and Responsibilities to Protect the Nation's Critical Infrastructure". See, notice. Location: Room 311, Cannon Building. 11:00 AM. The House Appropriations Committee's (HAC) Subcommittee on Commerce, Justice, Science, and Related Agencies will hold a hearing on the budget for the National Science Foundation (NSF). See, notice. Location: Room H-309, Capitol Building. 3:00 PM. The Copyright Office (CO) will host a presentation by David Nimmer titled "50th Anniversary of Nimmer on Copyright". See, notice. Location: Coolidge Auditorium, Jefferson Building, 101 Independence Ave., SE. The House will meet at 9:00 AM for legislative business. See, Rep. Cantor's schedule. 9:00 AM. The House Judiciary Committee's (HJC) Subcommittee on Courts, Intellectual Property and the Internet will hold a hearing titled "Abusive Patent Litigation: The Impact on American Innovation & Jobs, and Potential Solutions". The witnesses will be __. See, notice. Location: Room 2141, Rayburn Building. 10:00 AM. The Senate Judiciary Committee (SJC) will hold an executive business meeting. The agenda includes consideration of several gun bills, and the nominations numerous judicial nominees: Sheri Chappell (USDC/MDFl), Kenneth Gonzales (USDC/DNMex), Michael McShane (USDC/DOre), Nitza Alejandro (USDC/EDPenn), Luis Restrepo (USDC/EDPenn), and Jeffrey Schmehl (USDC/EDPenn). See, notice. Webcast. Location: Room 226, Dirksen Building. 10:00 AM. The U.S. Court of Appeals (FedCir) will hear oral argument in Apple v. ITC, App. Ct. No. 2012-1338, an appeal from the U.S. International Trade Commission in a Section 337 proceeding involving whether Motorola Mobility mobile devices and software infringe Apple patents. The proceeding is USITC No. 337-TA-750. Location: Courtroom 203. 10:00 AM. The U.S. Court of Appeals (FedCir) will hear oral argument in TecSec v. IBM, App. Ct. No. 2012-1415, an appeal from the U.S. District Court (EDVa) in a patent infringement case involving encryption technology. Location: Courtroom 203. 2:30 PM. The Senate Commerce Committee (SCC) will hold a hearing titled "The Cybersecurity Partnership Between the Private Sector and Our Government: Protecting our National and Economic Security". See, notice. Location: Room G-50, Dirksen Building. Rep. Cantor's schedule states that no votes are expected in the House. 8:30 AM. The Department of Labor's (DOL) Bureau of Labor Statistics (BLS) is scheduled to release its February 2013 unemployment data. 12:00 NOON - 1:30 PM. The Net Caucus will host a panel discussion titled "Combating Piracy Online: The Copyright Alert System, A Voluntary Approach". The speakers will be Jill Lesser (Center for Copyright Information), Jerry Berman (Net Caucus), Jules Polonetsky (Future of Privacy Forum), Gigi Sohn (Public Knowledge), Thomas Dailey (Verizon), Mitch Glazier (Recording Industry Association of America), Marianne Grant (Motion Picture Association of America), and Brent Olson (AT&T). Free. A box lunch will be served. See, notice. Location: Room 2168, Rayburn Building. Copyright 1998-2013 David Carney. All rights reserved.